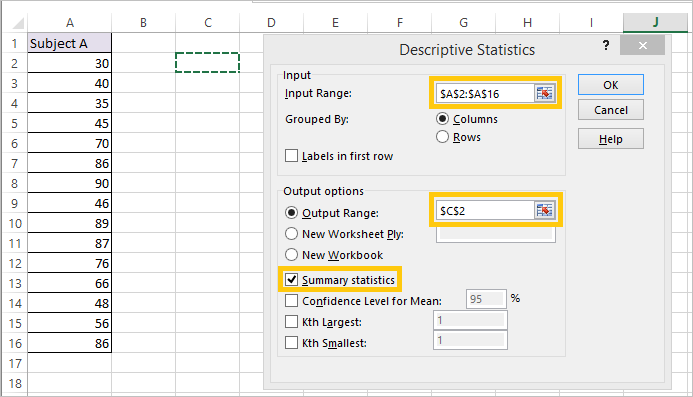 In this tutorial we will learn how to create a summary statistics or descriptive statistics in Excel for a given set of values. 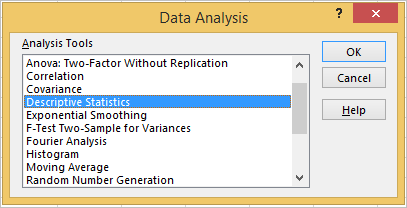 We will be using Analysis Toolpak add-in to generate summary statistics or descriptive statistics in Excel. 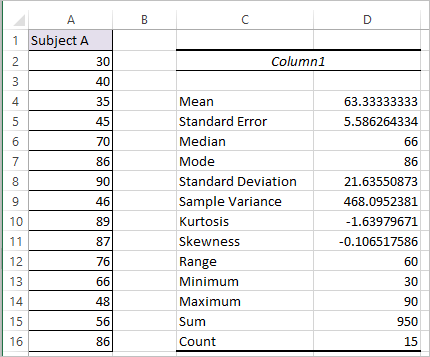 We will be using the 15 different scores obtained by students in a particular subject to depict example of Descriptive statistics in Excel. Step 2: Select Descriptive statistics and click ok.
Summary Statistics or Descriptive statistics will be generated as shown below.